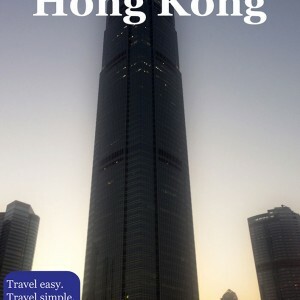 For those who do not want the exciting exploration of Hong Kong to be finished when the night comes, this city has a lot to offer regarding the nightlife and parties. Hong Kong is full of bars, pubs and nightclubs, and the options for spending a night out are numerous. You can find places with live music, karaoke bars, and even some calm places where you can simply enjoy a glass of wine. There are both styles when it comes to nightclubs; Western and Chinese, and according to preferences, you can choose what suits you better, or just what you want to explore. There are specific nightlife districts and everything you need for a good fun is concentrated there. In the Central district, you may find Lan Kwai Fong, which is basically the center of nightlife in this city, and where some of the most famous bars and nightclubs are set. Besides Lan Kwai Fong, Wan Chai and east Tsim Sha Tsui (Knutsford Terrace) are also famous parts of the city and recommended for visiting at night, and there are usually the places where you can party until late at night. When visiting such places, you should remember to take advantages of happy hour, or better said, happy hours, when you can enjoy smaller prices, not forgetting that 10% service charge will be added to your bill. Let yourself experience the beauties of several bars before deciding to spend a night in one nightclub, using the fact that all of the districts are near each other. If you happen to be in Hong Kong on Wednesday night, don’t miss Happy Valley Racecourse. As previously mentioned, Lan Kwai Fong is the center of nightlife in Hong Kong and the place where some of the best bars in Asia are set. What is the most interesting is the diversity of places, where nothing is monotonous, and everyone may find what best suits them. Restaurants, clubs, and bars tend to offer the best service, which usually starts around 9 pm and lasts until early in the morning. Not just beers, wine, and other alcoholic drinks that come from different countries are enjoyed in this area, but also many fun activities like chess, dart and listening to some quality live music. Weekends are usually reserved for these kinds of going out, and Wednesday is also an important night and many people chose to spend it outside. Though Hong Kong people are quite hard working, they are even more passionate when it comes to partying, with the unbreakable motto; Work hard, party harder. The tradition of this part of the city as one of the main when it comes to nightlife, considering the fact it dates even from the end of World War II and lasts until today. It usually consists of many bars in Western style, and what is quite interesting is the fact that some of them work 24 hours a day, or even while there are visitors and customers, without fixed working hours. Besides places that are offering a good drink, there are also some sophisticated restaurants, where you can enjoy a fine meal. This is the district where you can also enjoy bars, clubs, nightlife and more than 30 restaurants with a variety of cuisines, such as Italian, Spanish, Seafood, Steak, India and many more. It may not be cheap, but it is definitely worth enjoying the exotic atmosphere while sitting in some of them, experiencing different countries and styles within Hong Kong. You can also enjoy live music in the evenings as many bars offer it as a way of enjoying the night. The district can sometimes be regarded as completely opposed to Wan Chai and Lan Kwai Fong, since the frantic atmosphere that can be experienced there is not present here, considering that this is the typical place to chill out.